Over the past couple of years, the popularity of braided fishing lines has risen tremendously. Depending on the fishing situation, braided fishes lines tend to work really well, and prove to be impressively strong and thin. Of course, the remarkable strength of these fishing lines despite their small diameter all comes down to using the best braided fishing lines. As a result of their small diameter, there will be far more sensitivity and significantly lesser stretch in the line. Braided lines also do not easily break if you snag them, so you will even be able to retrieve your expensive lures. Keep reading if you want to discover further benefits and facts about these incredibly strong and thin braided fishing lines. To see best fishing lines that most anglers use click here to go to the topic right away. What are the Braided Fishing Lines? How To Tie A Knot & Use A Braided Fishing Line For Fishing? To make a strand of braided fishing line, fibers of a synthetic material like Micro-Dyneema or Spectra is used braided or woven together. As a result, the line proves to be very strong and tough, while possessing high abrasion resistance. A braided line tends to be so strong that even when it gets hung up, it cannot be easily broken. Hence, very few species of fish, such as Muskie and Pike, would be able to cut a braided fishing line with their teeth. When fishing with a braided fishing line, tying the right knot becomes necessary because of how slippery these lines tend to be. In most cases, a Palomar knot is used and works well. An improved clinch knot can also be used by wrapping it at least seven times. Once either of these two knots is finished, some tag end should be left. Moreover, braided fishing lines should not be cut off close to the knot, and some super glue can also be applied to prevent the knot from slipping. Braided fishing lines are not exactly ideal when fishing in clear water due to their high visibility as a result of which the fish are sure to get spooked. The rod being used should also be of quality and be capable of handling a braided line. Scissors will also have to be carried along for cutting a braided fishing line since clippers will not work. If you are interested in reading more about best fishing line to use for a spinning reels go hereright away. 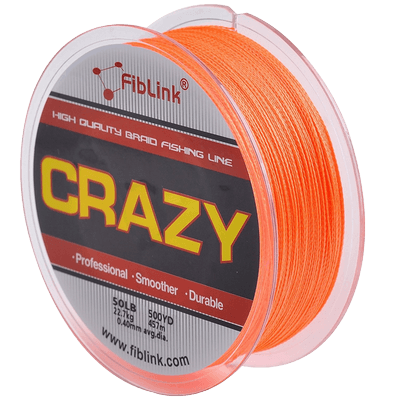 Depending on water conditions, this 4 Strand Braid Braided Fishing Line from Fiblink is available in a variety of different colors. The tensile strength of this braided fishing line is between 10 pounds and 80 pounds. Although this fishing line is meant to be used by advanced anglers, even those who have never used a braided line before will find it quite ideal. In fact, for anglers, this line will prove to be perfect for a myriad of situations. 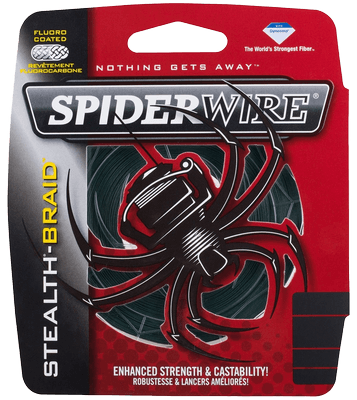 SpiderWire used the strongest fiber in the world, Dyneema, in order to make this Braided Stealth Superline. Depending on whether high or low visibility is required underwater, you can choose between Spider Wire’s Braided Stealth Superline in either Yellow or Moss Green, respectively. 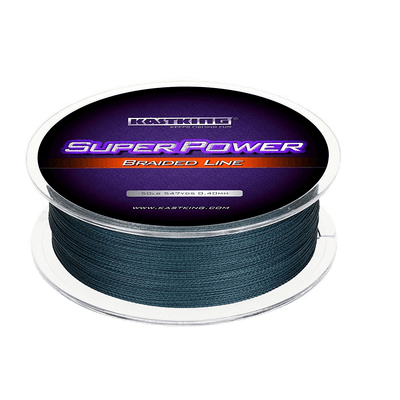 SpiderWire designed and created this braided fishing line not only to be extremely strong but also to perform quietly and smoothly. Visibility of this line is not so great at night. No matter what the fishing situation or water condition, the SuperPower Braid Fishing Line from KastKing comes in colors that are sure to match them. The tensile strength of this fishing line happens to be between 10 pounds and 150 pounds. Thus, no matter what the situation, this braided fishing line will not disappoint anglers. Unlike braided fishing lines from other brands, this dynamic line is wrapped relatively tighter, which is the reason behind its smaller profile. You will be surprised by how extremely strong this 100%Pe Braided Fishing Line from Spectra is going to prove to be. While the sensitivity of this fishing line is superb, it will not stretch at all. This braided fishing line also happens to be round and tough, which will ensure that it does not dig in on the reel. Last but not least, the abrasion resistance of this fishing line also comparatively far more superior than that of others. 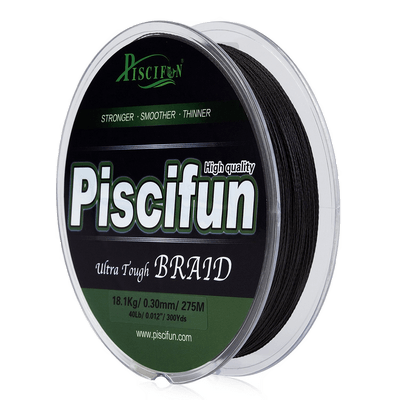 This Braided Fishing Line from Piscifun has been designed to smoother, thinner and ultra strong. Along with superior strength, this braided fishing line also possesses superior line consistency and roundness. 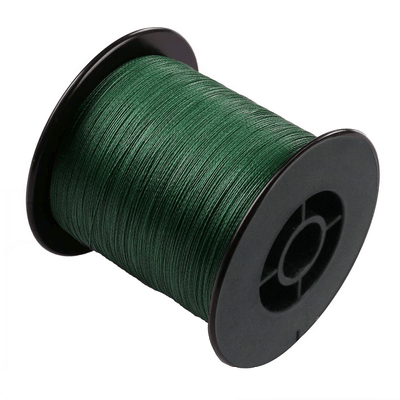 The gray color of this fishing line is a result of new epoxy coatings technology, as a result of which its color will last long. Before being manufactured, this braided line also underwent a 7-Day Soaking Test as well. Since braided lines tend to float, this makes them useful for topwater baits. 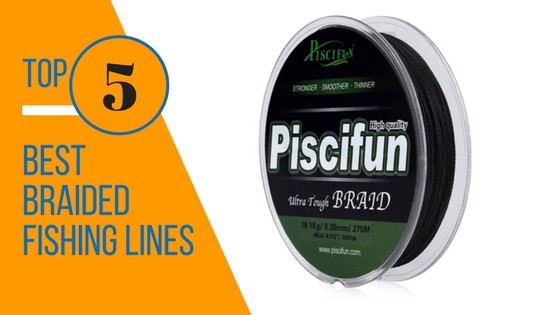 Furthermore, the use of best braided lines that are mentioned above is recommended when fishing in water that has heavy vegetation, such as cat tails, hints, hydrilla and lily pads. Since braided fishing lines do not tend to be stretchy, they can also be used to fish on long casts using topwater baits. Best Fishing Jackets For Fishing and Tips for Choosing Them. Jeffrey owner of Basshawker.com is a participant in the Amazon Services LLC Associates Program, an affiliate advertising program designed to provide a means for sites to earn advertising fees by advertising and linking to Amazon.com.